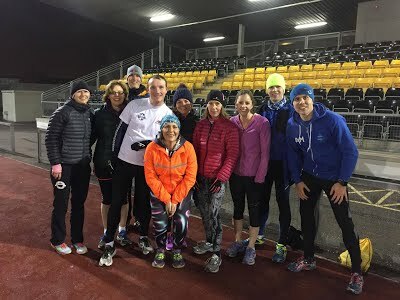 Thursday 7.30pm George Duncan Athletics Track - Coached running sessions every week. Cost is £2.30 for the use of the track. Our coaches are asking members to get involved in the local Park Run and to target the first Saturday of every month as a “benchmark” run. You can attend these sessions every week but we would encourage our members to make the effort to come along on the first Saturday of each month and times will be tracked to see how you’re progressing month on month. To take part in these free 5km runs you will need to register and print your barcode at www.parkrun.org.uk. Keep an eye on the website for details of other sessions coming soon.